Good Governance is a relatively new concept along with human rights, democracy and public participation. It means that any organisation, such as government institutions or private companies – or any facility that purports to provide a service, conduct public affairs and manage public resources – must act in the public interest at all times. In other words, governments and organisations must operate according to an accepted set of rules and regulations which are there to ensure that all decisions are ethical and made in accordance with public sector values. In short, it means doing things in a proper manner, honestly and with full transparency. While rules and guidelines can help a company to develop strategies and plans – and to keep on the right side of the law – it also needs to ensure it remains on the right side of public expectation and perceptions. Even in areas where there are no real laws, such as how a set of values might be employed, or how to remain ethical in engagements, or how decisions should be reviewed, etc – there are some vital principles which any organisation worth its salt should consider and incorporate. Good Governance is essentially an internal concept. It is the way the leadership of any particular organisation decides to direct and manage the processes required to ensure effectiveness in achieving objectives. But this should be done in such a way that people both within the institution and outside of it, can follow processes and commend or challenge these openly. Fair legal frameworks should be enforced by an impartial regulatory body. Transparency should reflect throughout all decision-making and procedures – which should be made available to the public for public comment and debate. Accountability should be prime in all actions without fear or favour – and those making decisions should be ready to take responsibility for the effects of those decisions. Consensus with all stakeholders should be obtained before projects and processes can be actively initiated. Equity and inclusiveness of all people must at all times be considered – no particular group may be excluded for whatever reason; each and all should have a voice in decision-making, either directly or through legitimate intermediate institutions that represent their interests. Participation therefore encompasses gender, race, creed, disability and socio-economic status without exception. The vision, purpose and values of the organisation are consistently applied and remain relevant. They understand and comply with all the legal and regulatory requirements. A plan is developed, monitored and evaluated to ensure the entity achieves its stated purpose. Staff is managed and supported to achieve high performance and results. Those whose actions diminish the principles of good governance in any way, should be held to account, thus protecting and promoting the organisation’s reputation. The appropriate internal financial and management controls are instituted. Strategies are developed to recognise and manage risk. Stakeholders who show legitimate interest in the work of the organisation are identified and regular communication is maintained. Those who benefit from the work of the organisation are clearly profiled in the planning and decision-making stages. All those responsible for the decision-making process such as the governing body, individual board members, committees, staff and volunteers, understand their roles, legal duties, and responsibilities. Transparency and accountability are upheld, and at all times integrity, honesty and fairness drive the goals of the organisation. 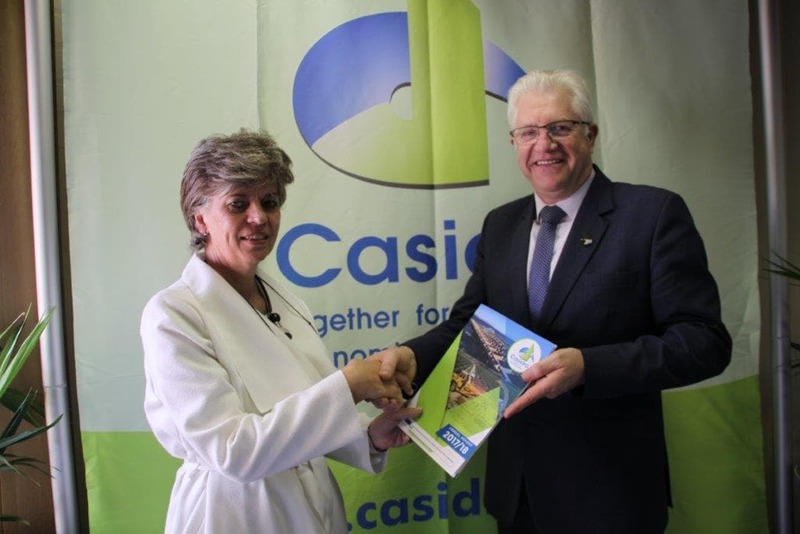 With the vision of becoming the leading partner for socio-economic development in the rural areas of the Western Cape, Casidra has worked to position itself as the implementing agency of the Western Cape Department of Agriculture, providing project management services to a range of government entities, as well as the private sector. We seek to create an enabling environment, supporting the development of both individuals and communities. We look for opportunities to encourage investments in human and institutional capacity at the local level. We engage to build honest, open and constructive partnerships among state, society and market sectors. We believe in creating a targeted communication strategy to keep all stakeholders well informed with regard to relevant project information, events and progress in the organisation.